We’re happy to announce that our much-loved IsaLean™ Shake Mocha has made a comeback! So, if you’ve been calling your friends trying to get your hands on our delicious shake, the wait is over! 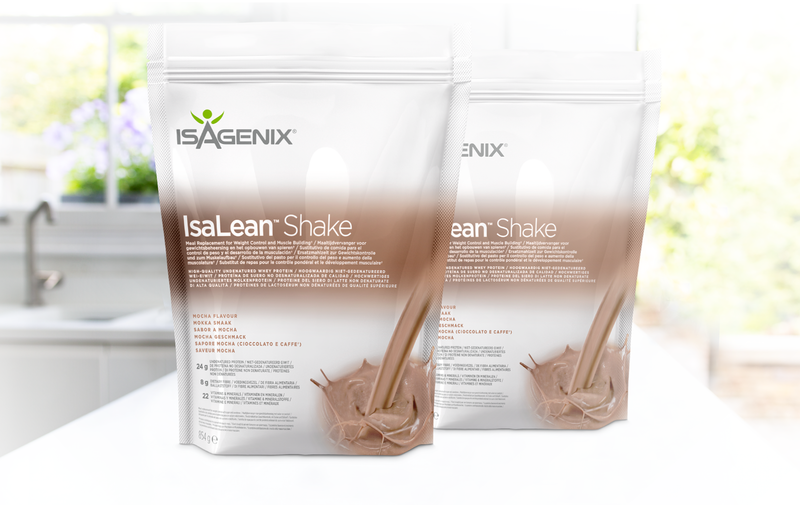 What’s more, due to popular demand we are adding IsaLean™ Shake Mocha as our featured flavour while stocks last! The delicious shake will be available a la carte as well as option in our packs to order through your Back Office or the IsaLife™ app. A creamy blend of coffee and chocolate, the term ‘coffee break’ takes on a whole new meaning with this shake! Perfectly sweet with notes of delicious coffee, this flavour comeback has been highly requested. With 24 g of undenatured whey and milk protein, 8 g of dietary fibre along with the essential vitamins and minerals, why not treat yourself to the decadent and comforting taste of mocha for breakfast, lunch or dinner. Be sure to jump on the IsaLife app or through your Back Office and get your mocha fix! Join the mocha fan club by sharing your photos on Instagram with the #OhMyMocha hashtag to create some buzz!